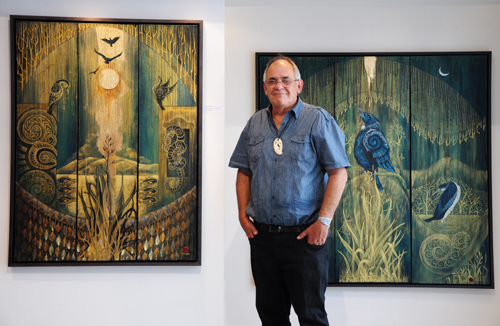 Robin Slow Exhibition features on MATAORA – Te Reo Channel – Kura Gallery: Maori and New Zealand Art + Design. Click here to view the latest episode – Wednesday 26th February 2014 at about the 6minute point. Robynleigh Cowan-Emery talks talks in depth with Eruera Morgan about Robin’s paintings and the whakapapa, kaupapa and korero behind them.